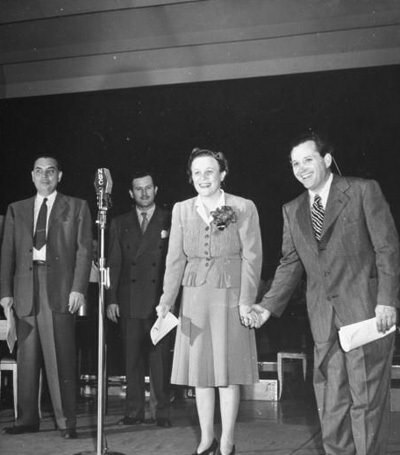 Patriotism plays an important role in Old Time Radio shows. It is not clear if this was due to people simply being more patriotic during radio's golden era. Perhaps this Patriotism found it's greatest expression during the Second World War. The War effected all aspects of life, and it was immediately felt in the content of popular programming. Fibber McGee and Molly were not going off to do any fighting, but the program was supporting our troops even before the US entered the war. In May of 1941 Molly began collecting games and books for the soldiers billeted at the local camp, with predictably comic results (the program ends with advice for listeners wanting to show similar support for their local Army camps.) After Pearl Harbor the War touched Wistful Vista like it would every community. Gale Gordon, who played Mayor LaTrivia, was drafted into the Coast Guard, and his departure from the show was a used as a lesson for folks on the home front to remember the importance of rationing and sacrifice. Of course the need for scrap would be a good excuse to clean out the famous Hall Closet. Fibber's neighbor, Throckmorton P. Gildersleeve, who would move on to his own show just before the US entered the War, was also a fundamentally Patriotic Program. Gildy dealt with rationing and sacrifice like everyone else, and taught us the importance of paying our taxes in support of the war effort, and reflected the fears fo many families when young Leroy tried to run away to join the Navy (how many other 13 year olds wished they could have joined the navy with less comic results) but it is the continuing Patriotism of Gildersleeve and his friends that we choose to showcase in this collection. We have included two different Forth of July episodes of The Great Gildersleeve to remind us that Patriotism is more than supporting the Nation in War time, it means appreciating the gifts of the Founding Fathers even when they do not seem to be in danger. This is also the lesson we learn with the family on Father Knows Best. In the season finale of the 1951 the kids complain that they don't get to have any fun on the Fourth, but Father paints them a picture of life in 1776. The lessons of the Founding Fathers are not lost on Patriots, and Radio reminds us of those lessons. The anthology program, Cavalcade Of America, used this theme in a number of episodes, we have included "Thomas Paine" and the story of his famous pamphlets, and "The Patriot With the Chestnut Curls", a true story of a young woman who spies on British Officers who are living in her home during the Revolutionary War. American Portraits give us, among other stories, the tale of John Adams, the second President of the United States. Before the Revolution he takes up the defense of the British Soldiers involved in the Boston Massacre, not out of sympathy for the Redcoats, but from the belief that American must be a just nation, built on Laws and Responsibility. 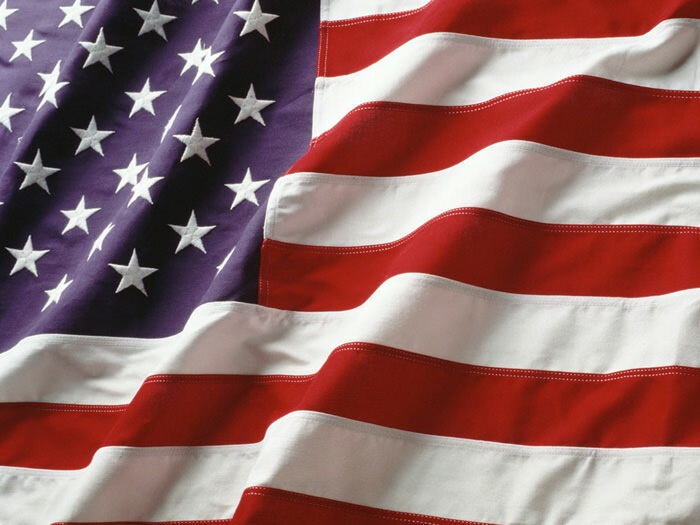 One duty of a Patriot is to continue to learn about the values and principles that have made us a great nation. The artists of The Free Company came together in the months before Pearl Harbor to remind us of a few of the fundamental freedoms that are worth defending. "People With Light Coming Out of Them" reminds us of the diversity of people that make up these United States. "The Mole On Lincoln's Cheek" reminds us that even the less appealing aspects of American History are better studied than hidden in lies. "The Tree of Liberty must be refreshed from time to time with the blood of Patriots and Tyrants" wrote Thomas Jefferson, and perhaps there can be no finer example of this than the sacrifices made by our fighting men during the Second World War. The first episode of This is War helps us to see the importance of the War. In Wings to Victory we hear the actions of a B-26 bomber crew defending Kiska Island in the Aleutians. 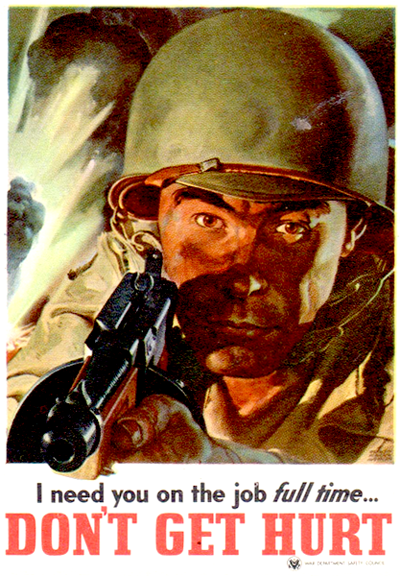 Fighting men were often celebrated on the Lux Radio Theater, including adaptations of the movies 'The Navy Comes Through", "The Pride Of the Marines", "Air Force", and "Wake Island". While listeners may or may not be fans of Baseball, there is no denying that it is athe American Game, and it has been celebrated on the Radio. Lucille Ball gives the game her comic treatment on My Favorite Husband, and the game gets a feminine comic look in Our Miss Brooks as well. A most moving tribute to baseball is the Lux Radio Theater presentation of "Pride Of the Yankees", the Lou Gehrig story. See also: Lands of the Free. Be the first to comment on "Patriotic Recordings"